FOOD industry professionals from across the UK gathered to learn more on Food Safety Culture, its importance and what action the sector can take. The Food Safety Culture Seminar, held in Darlington, saw speakers including Professor John Holah, Technical Director of Holchem, Dr Derek Watson, Senior Lecturer, Faculty of Business, Law & Tourism, University of Sunderland and Richard Friend, Technical Director at Fullwell Mill Ltd explore a range of important subjects. The event was organised by totrain who are one of the UK’s leading training companies working almost exclusively within the food industry and who are based in Norton, Teesside. Delegates heard first from Professor Holah whose presentation explored “What is Food Safety Culture and Why is it Needed?”. Professor Holah looked at what has changed in the food industry in the last 30 years, including the influx of microbiological hazards, allergens and DNA, specifically where there has been detection of protein in something else. With these risks in mind, Professor Holah looked then at what can be done to prevent issues, where issues may arise and the different models which can help an organisation examine their food safety culture. Dr Derek Watson of the University of Sunderland then presented on Organisational Culture and the research and development of Enlighten with totrain, a model for measuring Food Safety Culture within a business. 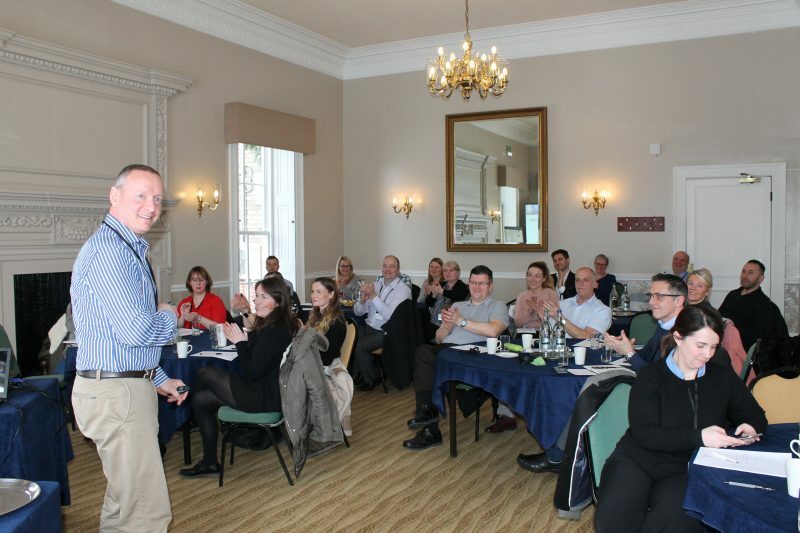 John Husband, a Director at totrain, explored a Food Safety Culture Improvement Programme, giving practical advice on how carry out such a programme and how to engage the workforce in the process through communication and involvement. He also spoke about BRC Issue 8. Fullwell Mill is a North-East based food manufacturer and was invited to be a pilot site for Enlighten. Technical Director Richard Friend gave an overview of the findings of the process and the improvements the business has been able to implement as a result. Finally, Helen Hood from totrain gave an overview of Enlighten and the system’s ability to allow for comparison testing, thereby assisting in tracking progress. The seminar was two of three being held by totrain. The third will be held in Reading and limited places are still available. The event will be held on Tuesday 27 March 2018 between 8.30am and 1.30pm at Best Western Reading Calcot Hotel, 98 Bath Road, Calcot, RG31 7QN.